Last week, the first teaser trailer for Madden NFL 12 (why don't they just call it '2012'?) was released. Somehow, I managed to miss the initial release and didn't stumble onto the trailer until this weekend. But even though it's "old news" now, that isn't going to stop me from sharing my two cents. There's a lot of information in this trailer. A heck of a lot more than we got in the NCAA Football 2012 screenshot from a few weeks ago. Let's break it down! Could multiplayer work in a Silent Hill game? "At the moment there will be no multiplayer modes in Silent Hill: Downpour, but Konami are investigating a separate chapter devoted entirely to the Multiplayer. ... We do not know the details but it should be an XBLA title that most players have to survive in the town of Silent Hill." "Whoever that Italian interviewer was either took Radeks comments completely out of context, or it was lost in translation. As previously mentioned, we were (many moons ago) investigating a separate Multiplayer mode, but that was quickly extinguished when we costed it out and determined how much resource time it would detract from the core singleplayer experience." 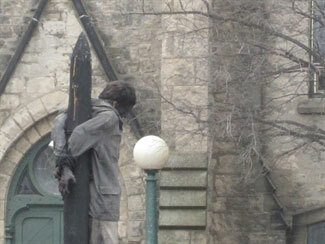 So it would seem that Silent Hill fans will be going without any sort of multiplayer mode in the near future. Quite a bit of interesting news in the gaming world this weekend (well, interesting for me anyway). One little tidbit of bittersweet news came in the form of the release of a new Trine 2 trailer and the accompanying announcement that the game has been pushed back a few months to late summer. NCAA Football 2012 - First screenshot revealed! 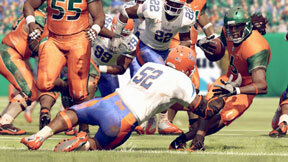 Earlier today, EA released the first screenshot for NCAA Football 2012 through the ESPN website. In addition to giving us the screenshot (and our first taste of the new game), EA also promised that they would break down the new features that the screenshot is supposed to showcase.